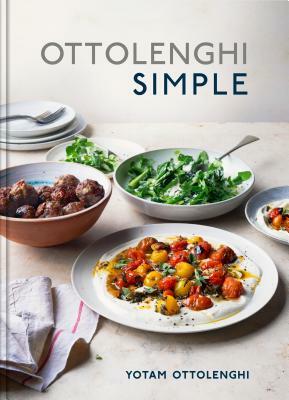 The New York Times bestselling collection of 130 easy, flavor-forward recipes from beloved chef Yotam Ottolenghi. In Ottolenghi Simple, powerhouse author and chef Yotam Ottolenghi presents 130 streamlined recipes packed with his signature Middle Eastern–inspired flavors, all simple in at least (and often more than) one way: made in 30 minutes or less, with 10 or fewer ingredients, in a single pot, using pantry staples, or prepared ahead of time for brilliantly, deliciously simple meals. Brunch gets a make-over with Braised Eggs with Leeks and Za’atar; Cauliflower, Pomegranate, and Pistachio Salad refreshes the side-dish rotation; Lamb and Feta Meatballs bring ease to the weeknight table; and every sweet tooth is sure to be satisfied by the spectacular Fig and Thyme Clafoutis. With more than 130 photographs, this is elemental Ottolenghi for everyone. YOTAM OTTOLENGHI is the author of the New York Times best-selling cookbooks Plenty, Ottolenghi, Plenty More, NOPI, Sweet, and Jerusalem, which was awarded Cookbook of the Year by the International Association of Culinary Professionals and Best International Cookbook by the James Beard Foundation. He lives in London, where he co-owns an eponymous group of restaurants and the fine-dining restaurant Nopi. "Every recipe has a brightness, a twist and a unique layer of flavor that you rarely get at home on a weeknight." "It’s a useful and engaging book, filled with the kind of dishes that have made Ottolenghi’s broad and well-deserved reputation ... this is food that’s worth putting on the plate, and another cookbook that’s very much worth adding to the stack." "It’s a brilliant way to up your regular dinner game." "Needless to say, everything Ottolenghi touches turns to gold — all well-earned and deserved. He has played a major role in changing how people cook and how much more adventurous in the kitchen they are now. With this new volume, even more cooks will discover flavors they’ve never known, techniques they’ll embrace, ingredients that are exotic and exciting and a little thrilling to use. They’ll see what a little harissa or tahini can do for their food." "No chef captures the flavors of the moment better than Yotam Ottolenghi." "Ottolenghi is a genius with vegetables--it's possible that no other chef has devised so many clever ways to cook them." "Yotam Ottolenghi is the most creative but also practical cook of this new culinary era--a 21st-century Escoffier."